My wife (@DelysiaStyle) and I made it to the Blog World Expo in Los Angeles, California. So far it has been a great time. We attended the morning keynote speaker and have met a couple of great people already. I’ll put together a post of everything I digested (non food related) each day of the conference. Shankman is a spectacular example of what happens when you merge the power of pure creativity with Attention Deficit Hyperactivity Disorder (ADHD) and a dose of adventure, and make it work to your advantage. 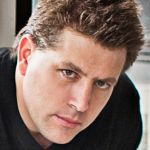 An author, entrepreneur, speaker, and worldwide connector, Peter is recognized worldwide for radically new ways of thinking about Social Media, PR, marketing, advertising, and customer service. His presentation/speech covered more of the marketing theory and how to get your head straight while existing. Even though most of what he was talking about was business related, he showed how these are great traits to develop in your personal life. One of the main points that Peter talks about is how the game is still the same as it was in the early internet days. We have more tools and possibly more reach from those tools but the bottom line is: do what works. If your doing something that you find isn’t working, maybe nobody clicked on your “thoughtful” title, be sure to change or stop that thing. If you find something that does work, maybe your post resonated with your audience, keep doing that thing. Another point is that you should always be available. This means on everything you put out there, make sure there is some way for someone to easily contact you about it. You never know what is going to take off and who is going to give you a call the next day to discuss the future. If you want something you’ve never had, do something that you’ve never done. The last point I want to share is do not give it up. If you truly believe in what you’re doing or you are passionate about it make sure you don’t give up, no matter how rough you feel or how tired you are. Always remember to follow your passions. Today Suzanne and I met one of my favorite internet personalities. 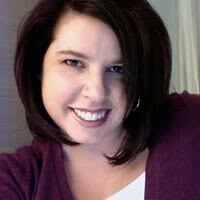 Mari Smith is a social media guru who has influenced me for the past couple of years. No matter how crazy things get in the digital world she is the breath of positivity. You can always count on her to get to the core of the Facebook updates or to find the cool tools to help reach out more. Mari’s has authored a couple of books, with her new one just being released. The book is “The New Relationship Marketing.” I just picked up today and I’m very excited to crack it open and learn about growing loyal networks through genuine relationships. This idea of relationship marketing isn’t new idea but so many businesses have started to lose touch with this. 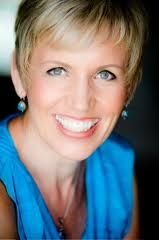 Mari Smith is definitely one to follow to learn to get back to the roots of talking to people. Her positivity and general love for people is exactly what we all need in order to listen to our clients, colleagues and even our nay sayers. Through listening and engaging we can reshape the businesses are run and we can create a win-win environment for both business and consumer. Amber Nasland is a brilliant thinker in the social media realm. Her talk today was a rally cry to help form the social media foundation. The direction that this new media is going is completely up to us and it is changing the businesses and customers think and react. Amber equates the social media movers as wayfarers finding the trail through the fog of unknown. The time is now for every blogger to step up and get their hands dirty with every aspect of blogging. She is very well spoken and very intelligent. I look forward to reading more of her content as she is one the great strategists and emerging architects in this new media. 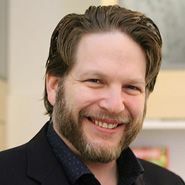 Chris Brogan has been a blogging leader that I have followed for a couple of years. Some of his best strengths are his honesty, humor, and level head. At first I thought it would be tough to go up and talk to him since he sees thousands of people a month and I figured there wouldn’t be much engagement. I was way off. He is down to earth and very engaging. The amount that he remembers about the people he meets briefly is incredible. I was able to talk to him about many different aspects of blogging ethics and why to keep it all honest. I’m looking forward to talking some more about honest blogging and being transparent. The biggest thing that I’ve learned from my first day at Blog World Expo is that everyone is human. We see all these amazing thought leaders across the web and it’s so easy to think that they are unreachable when it is the opposite. They all are excited to meet others and want to learn and help others around them. My advice for everyone on the web: find your industry leaders and reach out to them. If you’re not sure what to say, say hi and thank them for putting out great content. It goes a long way for you personally to know that it’s not us and them. It’s just us, learning and discussing all together.